This paper presents a practical-oriented approach for the characterization of preferential flow paths and modeling of three-dimensional fracture network in a fractured metamorphic aquifer that can be used to effectively evaluate groundwater potential in support of groundwater resources planning and management. This approach was demonstrated by using a couple of on-site hydrogeological tests and a hybrid numerical model at the Shuangliu well field situated in the Shungliou Forest Recreation Park, Southern Taiwan. The well field experiments have demonstrated that the combined downhole logging technique can successfully identify interconnection of permeable fractures, and have proved that the preferential flow paths is strongly associated with the major fracture orientation. Cross-borehole flowmeter tests have been confirmed as a useful technique to investigate preferential flow paths between boreholes. The modeling software FracMan was applied to develop a 3-D hybrid Discrete Fracture Network/Equivalent Porous Media (DFN/EPM) model with the aid of the above field tests, outcrop data and the identified scaling properties from fracture statistical analysis. Based on few outcrop data, the proposed 3-D hybrid model can appropriately predict the fracture geometry and locations of preferential flow paths for understanding the entire network structure and flow characteristics. 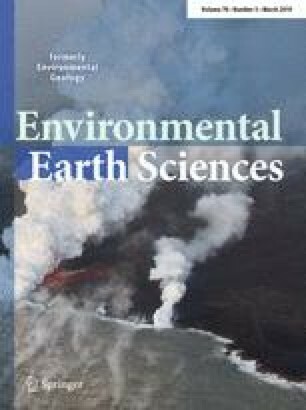 However, collecting outcrop data as many as possible would firmly improve the prediction results of preferential flow paths in every study region. Finally, the validated model can be used to determine groundwater storage in a water planning area. Therefore, this study provides insight into effective fractured rock aquifer characterization and modeling to deal with the heterogeneity of fractured rock and improve the accuracy of groundwater storage computation. The authors would also like to acknowledge all the individuals who participated in the field data collections and investigation of the well field.